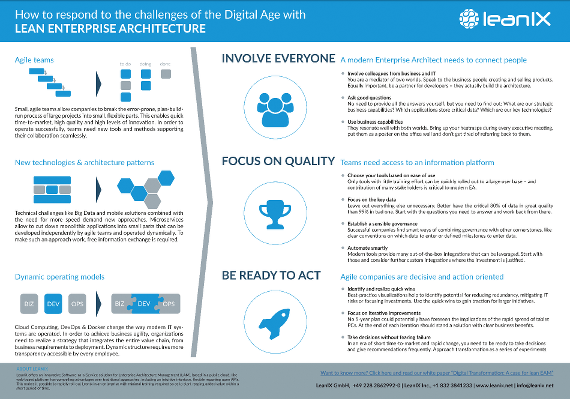 This printable poster illustrates how a lean Enterprise Architecture approach can help prepare your company for the challenges of the digital age. Agile teams that allow companies to break the error-prone, plan-build-run process of large projects into manageble parts. Microservice architectures which divides monolithic applications into autonomous flexible code bases that can be developed independently by agile teams and operated dynamically. New dynamic operating models like DevOps.